MOLSON, JOHN, businessman, militia officer, justice of the peace, and politician; b. 3 Oct. 1787 in Montreal, eldest son of John Molson* and Sarah Insley Vaughan; m. 12 Oct. 1816 Mary Ann Elizabeth Molson at Quebec, and they had five sons; d. 12 July 1860 in Montreal. The first reference to the career of the younger John Molson dates from the beginning of the 1800s. During the first decade of the century he learned the rudiments of business by working in the brewery his father had purchased at Montreal in 1785. He was so interested in the processes involved in making beer that when his father went on a trip to England in 1810 he left him to manage the undertaking. However, he gained his most valuable knowledge from engineer John Jackson, who taught him the principles and application of “steam power”; Jackson had been the partner of Molson’s father and John Bruce, a shipbuilder, in a venture that had culminated in the launching in 1809 of the Accommodation, the first steamship built in Lower Canada. In all probability Molson’s engineering talents were quickly put to use in the shipping enterprise run by his father, especially since two new steamships, the Swiftsure and the Malsham, were added to the family firm’s assets in 1812 and 1814. Fitted with powerful engines built in England at the workshops of Matthew Boulton and James Watt, these ships travelled between Montreal and Quebec in far less time than their predecessor the Accommodation, but it was still necessary to make numerous stops to load firewood for the steam-engines. The two boats were put into service during the War of 1812 to fulfil contracts for transporting and supplying troops in Lower Canada. In that conflict Molson was appointed a cornet in the Royal Montreal Cavalry, a rank he would hold until 1821 when he was promoted lieutenant in this regiment. At the end of hostilities in 1815 he moved to Quebec, to supervise receipt of goods at the shipping company’s wharf and warehouse below Cap Diamant. That year he went to England, apparently to settle a matter related to the building of the Lady Sherbrooke and the New Swiftsure, ships that would be launched in 1816 and 1817 respectively. It is thought that he met Mary Ann Elizabeth Molson, his first cousin, on this trip; her sister Martha married Thomas*, John’s brother, in England in April 1816. The following month Mary Ann Elizabeth arrived at Quebec, and on 12 October she and John were married. In December John went into partnership with his father and his two brothers, William* and Thomas, under the name John Molson and Sons. The new firm, created for a period of seven years, was to manage the family’s total holdings (brewery, ships, wharfs, warehouses, and hotel); its assets of £69,550 came principally from the father. The younger John Molson now took charge of the shipping end of the business, largely because his share of £6,000 in the partnership consisted of the Swiftsure, which his father had recently given him. Despite the severe economic crisis in Lower Canada, he seems to have found navigation on the St Lawrence and the other activities of the family partnership profitable, since in 1819 his share had risen to a value of £16,783. That year Molson moved back to Montreal. There he had to face the problem of competition engendered by over-investment in shipping, rival firms having launched several new steamships on the St Lawrence. The drop in the profit margin of his shipping business affected the general earning capacity of John Molson and Sons. It was therefore decided to transfer the assets of the shipping business to a joint-stock company – possibly one with limited liability – under the majority control of the Molson family. Thus in 1822 the St Lawrence Steamboat Company was founded [see William Molson], with John Molson and Sons holding 26 of the 44 shares, each valued at £1,000; the family firm contributed its three ships to the capital assets of the new company and was to manage it. Molson emerged from the arrangement with increased power and a freer hand to direct maritime activity. The 1820s heralded an era of prosperity for the St Lawrence Steamboat Company; the growing influx of immigrants, the increased demand for lumber in Quebec and Montreal, and the general upsurge of economic activity gave fresh impetus to shipping on the St Lawrence. The company was called upon regularly by the British armed forces to transport freestone for the fortifications under construction during the 1820s at William Henry (Sorel), Île aux Noix on the Richelieu, and Île Sainte-Hélène on the St Lawrence. With lucrative contracts, the firm was able in 1827 to establish a towing service for ships and barges, and then to extend its operations to the Ottawa, Lac Saint-François, and the Richelieu. Around 1830 the St Lawrence Steamboat Company took over management of the Ottawa Steamboat Company, which shortly became the Ottawa and Rideau Forwarding Company. Thus the Molson firm secured control of shipping on the Ottawa, as well as on the Rideau Canal, which connected with Lake Ontario. Moreover, the St Lawrence Steamboat Company concluded an agreement on schedules and fares with John Torrance*, the owner of the St Lawrence Steam Tow Boat Company (better known as the Montreal Tow Boat Company), so that it could retain a virtual monopoly of shipping on the Richelieu. The two companies even built ships jointly. In 1827 the St Lawrence Steamboat Company had launched the John Molson, the most powerful of the tugs. John, William, and their father had entered into a new partnership agreement (retaining the name John Molson and Sons) in 1824, at the time Thomas left for Kingston, Upper Canada. In 1828 some of the family business – the brewery, hotel, and wharfs – was transferred to the firm of John and William Molson, set up that year, in which William played a key role. Disappointed by this turn of events, the younger John Molson withdrew from the new company after only a year, to go almost immediately into the import-export business. On 1 May 1829 he went into partnership with the Davies brothers, George and George Crew, Quebec merchants, under the name of Molson, Davies and Company. But despite John’s impulsive urge to be independent of the family enterprise, the new firm was to be financed largely by his father, as is evident from the numerous debts (one of £2,000) it owed him. Furthermore, in 1834 his father, who had previously made over some properties to him, agreed to give two of his warehouses to him in exchange for these properties. The company early specialized in trade in spirits, foodstuffs, hardware, and shipping equipment (cables, anchors, canvas, and sails). William and Thomas Molson sometimes turned to it for raw materials for their brewery and distillery; in 1836, for example, after disastrous harvests in Lower Canada, the firm won a contract to purchase on the European market the grain required for the brewery and the distillery. At that period it dealt with a large London agent, Henry Bliss*, who represented the principal merchants of Lower Canada. On 7 Sept. 1838 Molson put an end to Molson, Davies and Company by purchasing the shares of his partners, valued at £10,000. For reasons still unknown, he had decided to operate on his own in the field of commerce. In extending his career as businessman and ship-owner, Molson took an interest in the financial sector, which was then expanding remarkably with the appearance of the first credit institutions in Lower Canada. In 1822 he bought 30 shares in the Bank of Montreal, worth £50 apiece. He was elected to the board of directors of this corporation in 1826, and sided with the faction represented by George Moffatt* which was critical of the irregularities in president Samuel Gerrard’s management. In June, Frederic William Ermatinger* resigned from the board to let Molson’s father join it and he soon became president. However, Molson himself resigned that month and was replaced by Ermatinger, who had been persuaded to rejoin the board. It was not until his father’s death in 1836 that Molson again became a director. Meanwhile in 1831, with John Frothingham*, William Ritchie, Stanley Bagg, William Lyman, and a number of shareholders from New York State, he had helped found the City Bank (in Montreal), which served as a pocket of resistance to the Bank of Montreal’s monopoly. 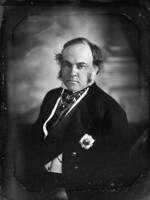 Molson’s financial activities were not, however, restricted to banking: for example, by 1842 he was the largest bondholder in Montreal, earning from them an annual income of £719. Molson was involved in the transformation of Montreal as an urban community, making a particular contribution to the establishment of public services. In 1836 he was appointed president of the Montreal Gas Light Company, a recently created joint-stock company with a capital of £36,000. By the following year the main streets in the city were provided with gas lamps. After incurring financial deficits, the firm was taken over in 1848 by the New City Gas Company of Montreal, founded a year earlier by Thomas and William Molson. Having become a minority shareholder, John gradually lost interest in this field and around 1851 withdrew from the company. In 1831 a group of Montreal businessmen had developed a plan to link La Prairie to Dorchester (Saint-Jean-sur-Richelieu), a distance of 20 miles, by a railway using wooden rails capped with an iron strip. The promoters thought such a line would offer two major advantages: a faster and shorter connection with New York and the encouragement of trade with Vermont and New York. United behind the two John Molsons, Peter McGill, and George Moffatt, these businessmen set up the Champlain and St Lawrence Railroad with a capital of £50,000. The building of the railway involved such extensive unforeseen costs that the directors of the company had to mortgage their personal properties. In 1836, the year the line was inaugurated, Molson was named president of the company; his father, who died on 11 January of that year, had left him the £9,000 worth of shares that he had invested in the project. Despite the fragility of the tracks and the low engine power of the first locomotive, the Dorchester, which had been imported from Newcastle upon Tyne in England, the company carried more than 35,000 tons of merchandise and some 111,000 passengers from 1836 to 1840. Anxious to take advantage of this new means of transportation, the Molsons had built a wharf and a warehouse near the railway at La Prairie. Until 1846 this company was the only one to provide transportation by wooden rails in the Montreal region or elsewhere in Lower Canada. However, with the advent of a competitor, the Montreal and Lachine Rail-road (which became the Montreal and New York Railroad four years later), the track linking La Prairie to Dorchester had to be improved to avoid losing too much of the land traffic on the south shore. Hence in the period 1848–51 the wooden rails were replaced by iron ones and the track was extended to Rouses Point, N.Y., on the line linking Boston to Ogdensburg, N.Y., on the upper St Lawrence. This attempt to modernize the line required an investment of £141,560 in all, which increased the firm’s indebtedness, in particular to the Bank of Montreal. Nevertheless, Molson remained an important financial backer of the railway link between Lake Champlain and the St Lawrence; in 1851 he was the second largest investor in the company, holding 179 of the 2,000 shares, valued at £50 apiece. From the beginning of the 1820s, the technology of iron-making had been developing in Montreal through the efforts of American and British engineers, who were taking advantage of the boom in the building of the colony’s first steamships. In spite of the small scale of its operation, the metallurgical industry had attained a level of competence and a flexibility permitting it to convert readily to meet the need for durable goods. It was under these circumstances that Molson acquired the St Mary’s Foundry, which he inherited on his father’s death in 1836. The year before he had begun to manage the establishment, which included a forge and a workshop where steam-engines were assembled. The account-books of the foundry show that there were no more than seven employees – an engineer, a machinist, three casters, and two apprentices. Presumably Molson’s experience in the use of steam-power as well as in engineering in general had prepared him to take charge of the production process on his own. In the years 1835–40 the foundry built steam-engines not only for ships but also for a sawmill, a distillery, and an aqueduct. The engines were priced from £875 to £3,200, depending upon the horsepower and size requested by customers, and were delivered in three to nine months. In 1840 Molson formed a partnership with William Parkyn, a civil engineer, under the name St Mary’s Foundry Company. For reasons unknown the firm was dissolved in 1845, and the foundry’s premises and equipment were rented to Parkyn for £500 annually. After five years Molson resumed management of the establishment and began to make coach wheels for railway companies, using a special technique. Following an action occasioned by a legal dispute, however, the patent for the invention was awarded to Samuel Bonner, a contractor of American nationality. This was probably the reason why Molson put the foundry’s two foremen, Warden King and George Rogers, in charge of it in 1852, and then sold it to his nephew, John Henry Robinson Molson, five years later. During his time in the founding business Molson’s involvement as an entrepreneur fluctuated with market changes. The Molsons’ tight grip on the wealth of Lower Canada associated them with an “oligarchy of money” against which the Patriote party took up the struggle during the 1830s. Molson participated in politics by affiliating himself first with the tory organizations in Montreal. 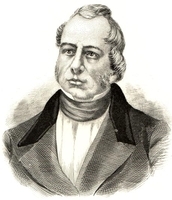 As a member of the Constitutional Association he chaired the meeting that condemned the Montreal city council for supporting the 92 Resolutions in 1834. In succeeding years he urged Lower Canadian merchants to accept the union of the two Canadas. He was raised to the rank of militia colonel, took part in the military suppression of the 1837–38 rebellion, and is said to have been wounded on the Chambly road. He had remained loyal to the British empire and he received a commission as justice of the peace in 1838 and appointment to the Special Council when it was created that year. Backing the British government, he voted the following year for the plan of union. During its three years the Special Council enacted ordinances that suspended habeas corpus, suppressed the freedom of the press, allocated £47,344 on its own authority for the civil list, and saw to the reimbursement of £107,000 advanced by Great Britain. Molson’s experience in business was put to good use when he steered through the ordinance renewing the charter of the Bank of Montreal. In the same period several financial groups, among them one including his brothers Thomas and William, were refused the legal status of a private bank. 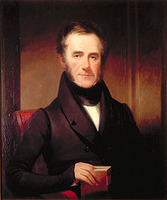 Molson again played a political role at the time of the unrest that led to the drafting in 1849 of the Annexation Manifesto [see James Bruce*]. Like the other signatories, he was subjected to penalties by the British government, which withdrew his commissions as justice of the peace and militia colonel. 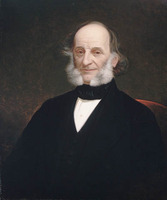 At the beginning of the 1840s, Molson had resumed control of the family shipping business, which had run into difficulties during the economic recession of the 1830s. However, the rules of the game had changed; after his father’s death he was forced to share management with his two brothers. Molson lost his desire to work for the company’s advancement, especially since disputes about his father’s estate had soured his relations with the family [see William Molson]. He preferred to carry on activities parallel to those of the shipping firm by engaging in ventures connected with maritime transport, in partnership with such men as mariner David Vaughan in 1841 and merchant Augustin Saint-Louis in 1842 and 1844. According to the correspondence of James Macaulay Higginson*, the private secretary of the governor-in-chief, Sir Charles Theophilus Metcalfe*, Molson had also set up a shipbuilding yard in the Montreal region. 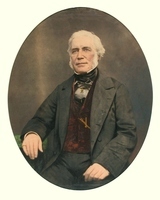 Doubtless because of his involvement in shipping, Molson was appointed in 1832 and 1838 a warden of Trinity House in Montreal, which was responsible for regulating maritime traffic. As a member of this body, he took an interest in the improvements being undertaken on the St Lawrence waterway; in 1839, for example, he placed an order with David Vaughan for the building of a steamship (costing £1,975) specially equipped for dredging the river. He was also put on a commission to inquire into the strike in 1843 by workmen digging the Lachine Canal. In their report the commissioners attributed the disturbances to agitators, and concluded that there was no satisfactory civil authority able to command the respect of a large body of workers. Meanwhile, the St Lawrence Steamboat Company, in which Molson kept his shares, had sold or rented out some of its ships. Moreover, from 1846 to 1854, he got rid of most of the ships that he had operated independentlet even if he lost money in some of his investments, he could easily refinance his debts through the real estate he had accumulated over the years. His holdings included an immense property at Côte à Baron, which he had acquired from Andrew Torrance in 1832; Belmont Hall, a luxurious residence at the corner of Rue Sherbrooke and Rue Saint-Laurent; several lots inherited from his father in the faubourg Sainte-Marie in Montreal; an estate on the Côte de la Visitation on Montreal Island; and Île Saint-Jean and Île Sainte-Marguerite at Boucherville, which together constituted a vast farming area. In addition he owned commercial buildings on Rue Saint-Pierre and Rue Saint-Paul in Montreal. 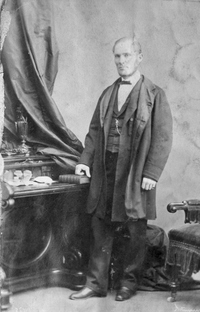 The beginning of the 1850s was marked by a reconciliation within the Molson family. On 3 Dec. 1853 John and William founded the Molsons Bank under the law governing private banks passed three years before. At first it primarily sought to attract savings deposits, at the same time engaging in short-term commercial discounting and issuing currency. In the latter activity John and William, with the participation of their brother Thomas, made use of their business deals with merchants of Upper and Lower Canada to circulate their own currency. The two had to face competition from the Bank of Montreal, whose principal strategy in dealing with them was to accumulate Molsons Bank notes for several days so that it could suddenly demand their conversion into cash, a manœuvre creating problems of liquidity for the bank. In 1855 the Molsons Bank was restructured through its incorporation as a chartered bank by the Legislative Assembly. Its authorized share capital was raised to £250,000, and the value of its issued notes would depend upon the sums put in by the investors. On 22 October the shareholders’ meeting elected its five-man board of directors, which included John, William, and Thomas; at the board’s first meeting, the next day, William was elected president and John vice-president. Towards the end of his life John gradually withdrew from the business world in which he had been active for more than 40 years. In 1856 his shares in the Molsons Bank were worth £35,000 and yielded 8 per cent in dividends. In the will he drew up on 20 April 1860, less than three months before his death, he settled a substantial annuity upon his wife and each of his five children (John, George Elsdale, Alexander, Samuel Elsdale, and Joseph Dinham), in addition to the usufruct of such properties as Belmont Hall and the estate on the Côte de la Visitation. The will stipulated, however, that the heirs could not contest its terms without losing all rights under it. The remainder of his fortune (worth about £200,000 according to his contemporaries), was left in trust to his brother William until his grandsons, who were the principal beneficiaries, reached their majority. Two aspects of Molson’s life stand out particularly: first, the fragile nature of partnerships based on family capital and, secondly, the diversity of entrepreneurial activity. These were two characteristics of colonial society in the early days of capitalism. The family unit still played a predominant role in a period when capital was just being mobilized in such legal forms as the joint-stock company with negotiable shares and limited liabilities. 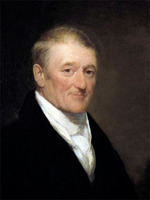 However, there was a confusion of functions within the Molson family, and it was aggravated by Molson’s disposition to assert his authority, particularly over his rebellious younger brothers; this situation continually threatened to cause economic, financial, and even emotional breakdowns. As for entrepreneurial diversity, Molson assuredly was in some sense involved in all important aspects of the economy: brewing, steam navigation, founding, railways, gas lighting for Montreal streets, the import-export trade, real estate investment, insurance, and banking. Yet one should not forget his political role, or his cultural and social concerns evidenced by his gifts to the Montreal General Hospital around 1829 and to McGill College in 1857. His associations were mainly with certain other families – among them the Torrances, McGills, Moffatts, Gerrards – it was as if the whole range of activities in this small colonial society was controlled collectively by a group of individuals who took the responsibility for its development upon themselves. They were not different from one another in any serious respect, and they were bound by a close community of interests. They demonstrated their cohesion through their approach to such issues as the future of the country, the conflict between membership in the empire and their feeling of attachment to North America, party affiliations, and policies for economic advancement; and there was no sign at the time – if indeed there ever would be – of a concentration of capital in business, real estate, industry, or banking. The most important sources of information on John Molson Sr are the Molson’s Brewery archives at PAC, MG 28, III57. ANQ-M, CE1-63, 7 août 1788, 15 juill. 1860; CN1-16, 19 oct. 1810; CN1-175, 12 juin 1837; 1er févr. 1851; 22 juill., 8 sept. 1852; 13 juin 1854; 20 avril 1860; CN1-182, 9 mars, 1er nov. 1832; CN1-187, 9 oct. 1819; 3 juin, 17 déc. 1822; 5 août 1823; 17 févr. 1824; 10 mars 1825; 3 mai 1827; 27 oct. 1829; 16 avril 1831; 25 avril 1832; 5 juin, 20 avril, 14, 20 déc. 1833; 12 mai 1834; 24 mars, 11 août 1835; 1er févr., 13 sept. 1836; 7 sept. 1838; 21 janv., 8 mars, 11 avril, 9 oct. 1839; 15 oct. 1842; 4 mai 1843; CN1-208, 25 août 1855; 2 juin, 18 déc. 1856; 27 mars, 25 avril 1857. ANQ-Q, CE1-61, 12 oct. 1816. McCord Museum, Molson family papers. McGill Univ. Libraries (Montreal), Redpath Library, John Molson and Sons papers. Montreal Board of Trade Arch. (Montreal), Minute-books, 1843–60. PAC, RG 68, General index, 1651–1841; 1841–67. Can., Prov. of, Legislative Assembly, App. to the journals, 1841, app.E; 1842, app.D; 1843, app.W; 1844–45, app.D; 1848, app.D; 1849, app.R; 1850, app.G; 1851, app.UU; 1852–53, app.I; 1854–55, app.FF; 1856, app.5, 13; 1857, app.6, 11; 1858, app.8; 1860, app.5; Statutes, 1841, c.98; 1854–55, c.202. L.C., Special Council, Journals, 1839–41; Statutes, 1831–32, c.58. Que., Statutes, 1874–75, c.93. La Minerve, 11 avril 1831. Montreal Gazette, 19 May 1845, 14 July 1860. Montreal Transcript, 14 July 1860. Quebec Gazette, 4 Jan., 29 April, 17 June, 5 Aug. 1819. André Giroux et al., Plans de l’architecture domestique inventoriés aux Archives nationales du Québec à Montréal (Ottawa, 1975), 23–24. Montreal directory, 1842–60. Morgan, Sketches of celebrated Canadians. Officers of British forces in Canada (Irving), 163. Quebec almanac, 1812–41. Terrill, Chronology of Montreal. Merrill Denison, The barley and the stream: the Molson story; a footnote to Canadian history (Toronto, 1955); Canada’s first bank. 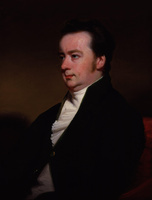 Alfred Dubuc, “Thomas Molson, entrepreneur canadien: 1791–1863” (thèse de ph.d., Univ. de Paris, 1969). Fernand Ouellet, Histoire économique et sociale du Québec, 1760–1850: structures et conjoncture (Montréal et Paris, ). S. B. Ryerson, Le capitalisme et la confédération: aux sources du conflit Canada–Québec (1760–1873), André d’Allemagne, trad. (Montréal, 1972), 247. B. K. Sandwell, The Molson family, etc. (Montreal, 1933). Tulchinsky, River barons. Alfred Dubuc, “Montréal et les débuts de la navigation à vapeur sur le Saint-Laurent,” Rev. d’hist. économique et sociale (Paris), 45 (1967): 105–18. É.-Z. Massicotte, “Le palais de l’intendance après 1761,” BRH, 49 (1943): 264–68; “Le premier théâtre royal à Montréal,” BRH, 48 (1942): 169–72. Alfred Dubuc and Robert Tremblay, “MOLSON, JOHN (1787-1860),” in Dictionary of Canadian Biography, vol. 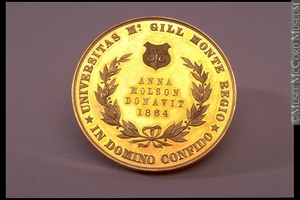 8, University of Toronto/Université Laval, 2003–, accessed April 22, 2019, http://www.biographi.ca/en/bio/molson_john_1787_1860_8E.html.